All of the inventions on this website are FREE to anyone as I have not patented any of them. 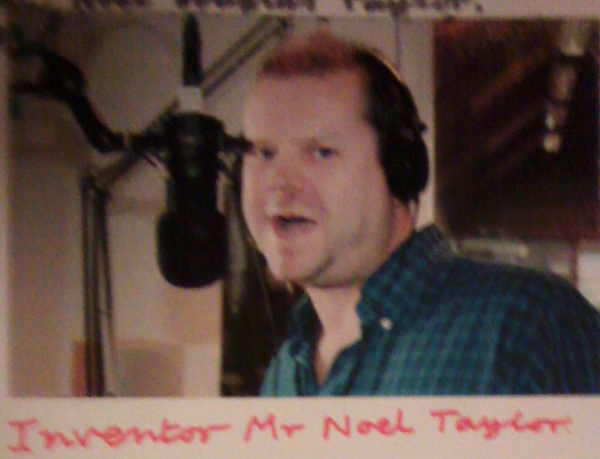 Inventivate is a company run by serial inventor Noel Taylor. The ‘Wireless Electric ‘Drop Slab’ Road’ is where a D.C. current is induced onto a vehicle wirelessly when a vehicle goes over drop slabs on the road causing an electrical charge. The vehicle battery size can be reduced by up to 80%. His latest foray is into the ‘Water Less Methane Toilet’ which is a vacuum-operated toilet which works by the human waste going into a disposable container at the base of the toilet where the methane gasses are extracted and transported to a power station via suction. Noel also has a list of 30 ‘Inventions That Anyone Can Do’. Also, there is a list of 138 inventions (as a disclaimer, some could have been invented elsewhere, unbeknownst to Noel Taylor). To start with, the Arab nations would pay western governments in order to subsidise a reduction in taxes for people (instead of flushing toilets) providing excrement, urine and water in order to grow plants on a Paradise Earth in the Deserts and populate it. Initially, it would be for the rich, with the surplus money going to the poor. Black people would be the master race. Current kings and queens will remain in power but with 144,000 new kings ruling. Urine and excrement will need to be donated by everybody in the world and shipped to deserts. For the purposes of donation, toilets can be converted by putting a thick brown bin bag in the toilet with the top of the bag hanging over the rim. Thus, the toilet should not be flushed, leaving the water saved by people donating urine and excrement to also be donated. 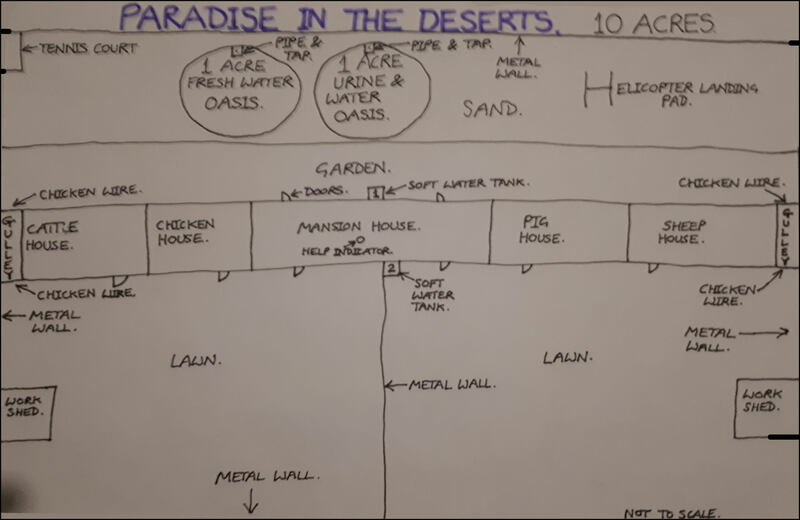 Irrigation will be from your oasis to give urine to plants. This will be the main source of urine pumped via pipes. When plantations are established it will rain more. People would urinate into a jug Then put it into either plastic or glass bottles by using a funnel. Then you would put the bottles into a crate. Next a lorry would take the crates to a depot. At the depot the bottles are then emptied into an articulated lorry. The articulated lorry travels to a port where it is emptied into a tanker ship. The tanker ship sails to a port near to a desert. When it arrives an articulated lorry fills up with the urine and travels to reservoirs on the edges of deserts and finally empties the urine into a urine reservoir. Plant shading material will be seven feet high. First of all, I will flatten the deserts with earth movers and the assistance of Google Earth. Then I will build walls and dig oases. Next I would put excrement into the sand to make gardens, build houses, plant the seeds and finally populate the deserts with people and animals (chicks, lambs, piglets and calves). Everyone will be self-sufficient with 10 acres of their own land and two one acre oases. You would have two reservoirs next to each other on the edges of deserts. One for fresh water to humans and animals and one for urine going to plants. Fed by pipework with a tap at the oasis end. A pipe will go to the urine reservoir with a tap so that one part of water can be mixed to four parts of urine. On Paradise Earth, there will be no illness or injury and people will live for hundreds of years. There will be no roads, all transportation would be achieved by helicopter. An emergency button will be located in the master bedroom, activating a laser beam on the roof to be aimed upwards. This would only be used very rarely. Marriage will be arranged by the Kings. Every toilet in the world will have to have an air extractor. I Lord Jesus Christ proclaim it.